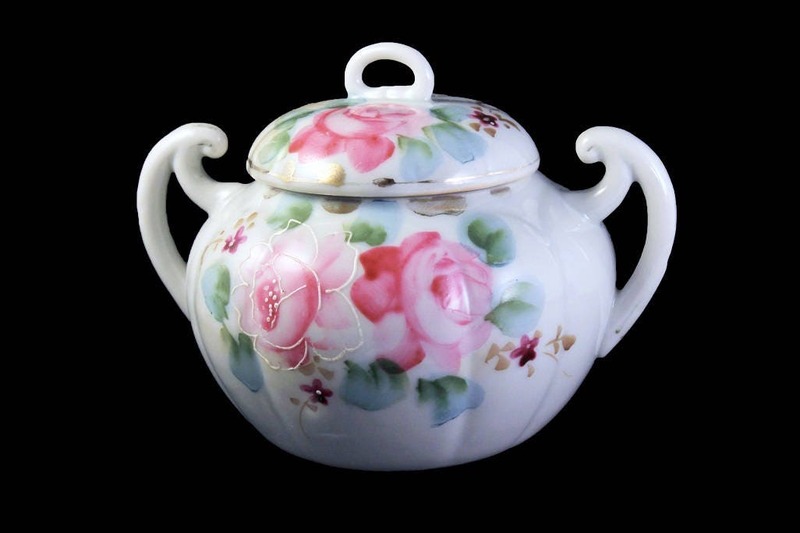 This is a lovely covered sugar bowl with a gorgeous rose pattern. 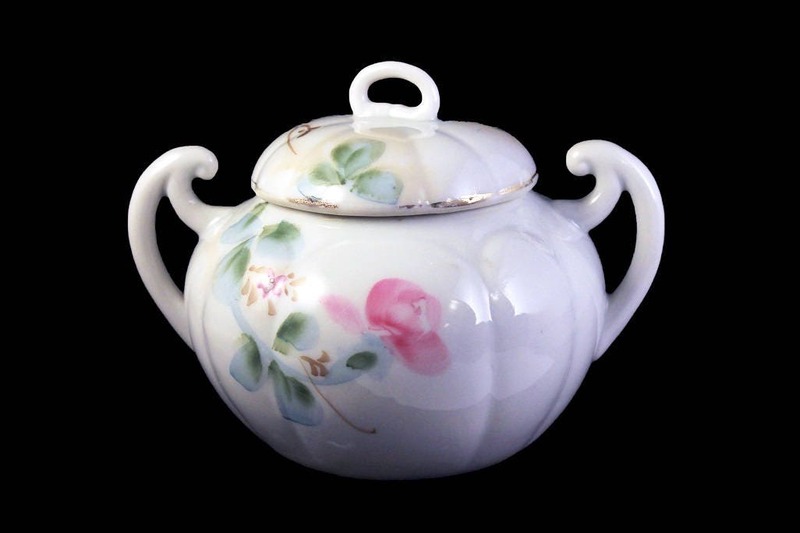 It is cream colored with gold trim. 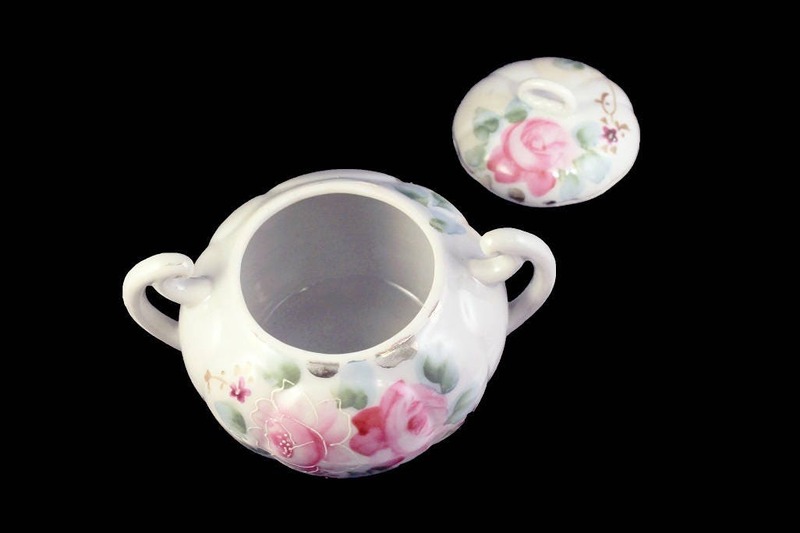 It is a great small bowl that could double as a trinket box. 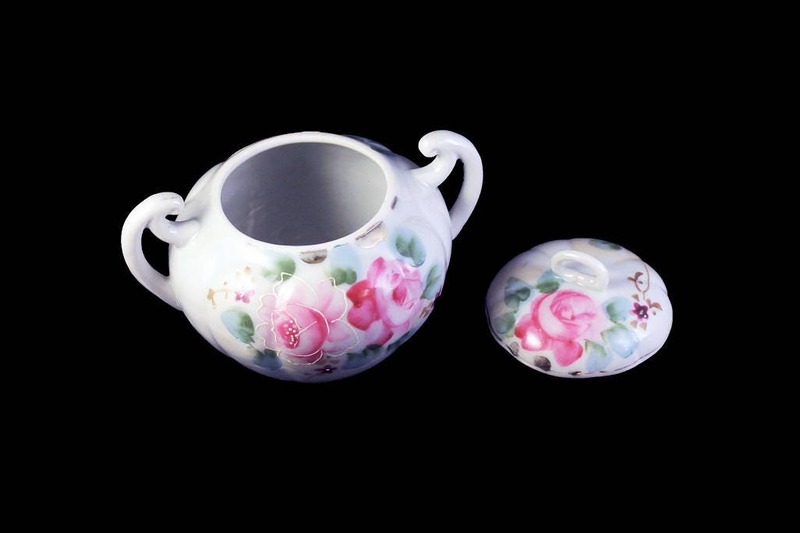 What a great way to add a touch of the past to your vanity, dinner table, buffet, or sideboard. 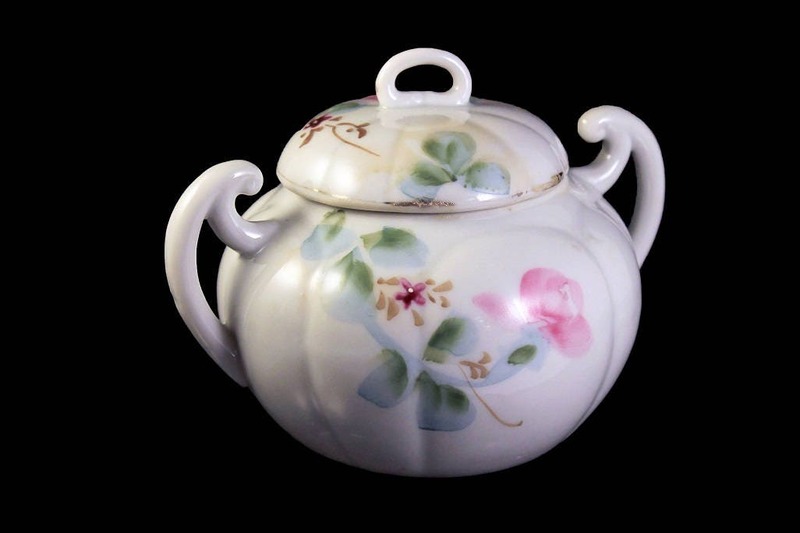 This sugar bowl in very good condition. There are no chips, cracks or crazing. Most of its gold trim has been worn away due to years of use. 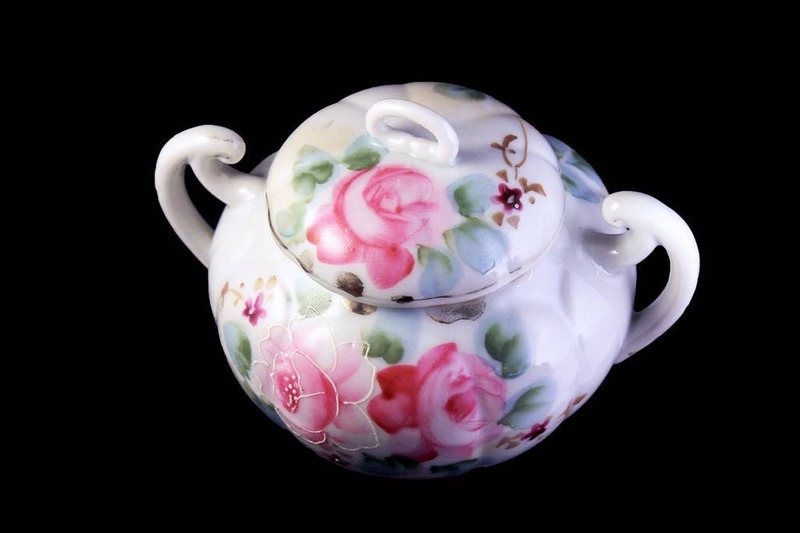 This would make a great wedding shower, wedding, hostess, or housewarming gift.